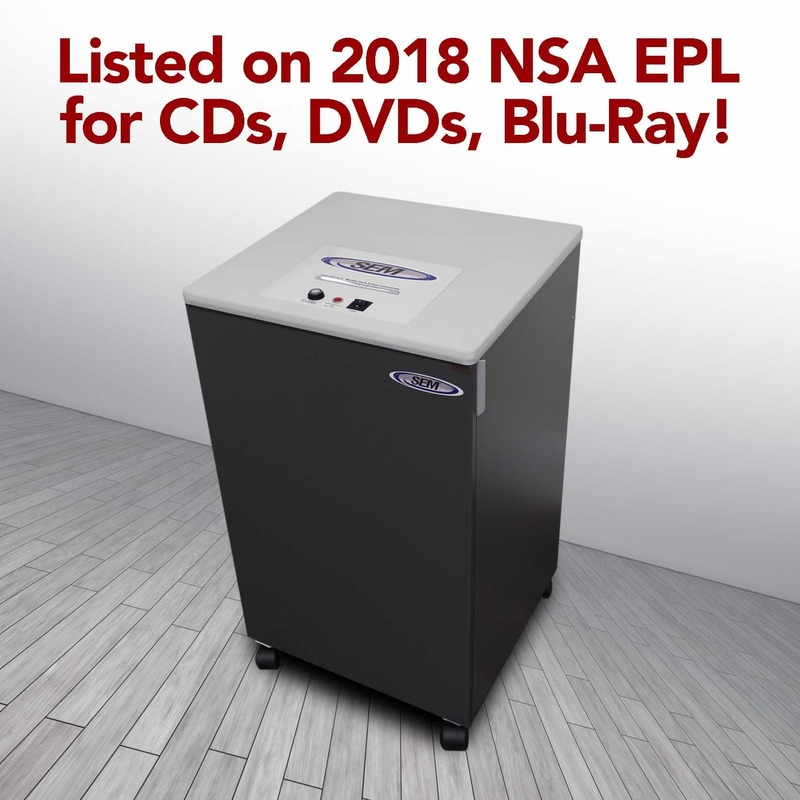 More and more companies and organizations are joining the digital revolution and storing their sensitive information on hard drives on-site or in data centers. But what happens to the data when the drive fails? The reality is that even failed, overwritten, and erased drives still contain an significant amount of recoverable data – data that should never fall into the wrong hands. A well-defined IT security program must contain an end-of-life destruction policy that effectively destroys drives, whether rotational, solid state, or enterprise. SEM has a complete line of secure IT destruction devices that can be used in any environment or application. From crushers to shredders to degaussers to disintegrators, SEM has machines that sanitize data from any type, size, or volume of drives.